2 Comments Published by Terrace Crawford on 4/27/12 at 1:50 PM. Doug is doing a talk on what he's learned (and been healed from) since he left a paid church staff position. I've journaled my learnings over the last few years. I want to share 3 things that I've been healed from. One thing I realized is how much I (we) put the spotlight on numbers in the church. We had a little slogan in our church that "we count people because people count." A leader is to attendance what a crack addict is to a crack pipe. I realize now that from week-to-week all I was doing was feeding the beast (of my ego). I've read a great book recently called "Renovation of the Church" where it talks about "feeding the beast." Another thing I'm being healed from is the pace of life. For me, ministry wasn't pacing like you do in a marathon. It was more like a sprint. I use to drive past a McDonalds and fantasize about what it would be like to work there. I also put a spotlight on comparison in ministry. We do this constantly! John 11 - Remember when Jesus raised Lazarus from the dead? He said "unwrap him and let him live!" Since my vision has been healed, I've learned a few things. Bigger isn't better. The only two people that think bigger is better are event promoters and preachers. Hurry is the enemy of depth! My healed vision has helped me replace "comparison" with "effectiveness." I must realize that I wasn't created to be Rick Warren. I wasn't created to speak like Beth Moore. I wasn't created to write like Andy Stanley. I was created to be "me." We need to stop complaining and start abiding (in Jesus). We are blinded in ministry (by things like numbers, pace of life, comparison). What would it look like to go on a numbers-detox? Busyness is a sign of brokenness. Every leader, every church, everything looks better from a distance. If nothing changes in your leadership are you happy with the leader that you are? 0 Comments Published by Terrace Crawford on at 1:23 PM. Kara is doing a talk on "Sticky Faith"
We do segregation well in the church. You might be thinking of "race" right now... but I'm talking about "age." I'm not satisfied with the stat that 40-50% of students are drifting away from God and the church. Are you? The way that I parent is different because of research. The way that I lead is different because of research. We are asking "How do we win students back?" when really we could be asking "What if we never lost them?" Building deep faith in students has the potential to change this country! Kara gave a fantastic illustration about a church where she saw adults handing off the roles on the platform (mid-way the worship service on Sunday morning) to teenagers. This is what it's about... not multi-generational ministry but inter-generational ministry! We need to reverse the 5 to 1 ratio (that we have in Youth Ministry when it comes to retreats and events). We should have 5 adults per 1 student mentoring and shepherding them. The real well behind my passion for this comes from being a parent. 4 Comments Published by Terrace Crawford on at 9:11 AM. Andy is doing a talk on "Healthy Staff Culture"
I think the church should be the greatest place to work on the planet! Northpoint Community Church came in 3rd for the BEST place to work in the Atlanta area. I want to talk about something (one thing actually) that I've learned that drives healthy staff culture at churches more than anything else! I believe this is the most contagious thing! Whoever wants to be out front must serve. Mark 10:45 -- this is why Jesus came! Healthy and productive staff cultures are characterized by "mutual submission." The question mutual submission asks: "How can I help?" There is no one in this room that is above this. There is also no one in this room that has a special anointing. There are 2 people you can ask to see if you have an anointing: your doctor and your wife. Catch this: even the Son of Man did not come to serve but to be served! Even IF you are anointed, you should be the BEST servant on the planet! Do for 1 what you wish you could do for everyone. Systematically develop (from the top down) service in your church or organization. Create and maintain a sustainable pace so you can serve others! Ask yourself "Does your availability squeeze out your serve-ability?" Reward mutual submission when you see it! Remember: what is rewarded is what gets repeated. Your staff is not your cast of characters. Drop the term "loyalty" from your vocabulary. Loyalty didn't even make the list in the fruits of the spirit. Follow the example of Christ: serve! 0 Comments Published by Terrace Crawford on at 8:46 AM. Craig is doing a talk on "Raising the Next Generation"
What do you think success looks like for the next generation? Culture says success is raising well-rounded, well educated kids. When I'm hiring I want someone who is great at "one thing"... not someone who is average at many things. Jesus asks "What good would it be for a man to gain the whole world and lose his own soul?" David in Psalm 71:18 "Do not forsake me... till I declare your power to the next generation." We are called to unleash single-minded, Christ-centered, Biblically-anchored world changers! We must enlist supporting voices to impart truth to your kids. You may be the main voice in your kids life... but you are not the only voice! We must build up leaders to mentor young ones! We must raise the expectations and standards of the next generation! Before children were 12 in Jesus' day they had to memorize the first 5 books of the Bible. We give them a candy bar if they can name the first 5 books of the Bible! Jesus raised the standard! "Lose your life! Lay it down! Pick up your cross!" We have raised a generation of students who feel entitled. If ministry to students is not real to you, don't even show up! Students can smell a fake a mile away! If you won't them to be students of the Word then let them see you in the Word! If you want students to be people of prayer, you better be on your face eating carpet before God! Set the example. They will follow. Christianity is not something we do. It's who we are! The Orange Conference - LIVE! 0 Comments Published by Terrace Crawford on at 5:38 AM. I'll be blogging from the general sessions over the next two days. Keep checking back here for fresh content...or, just click "subscribe to RSS" in the sidebar to subscribe in a reader. Follow my tweets (@terracecrawford) and also search #oc12 on twitter! Don't miss the action online! Follow along and experience #Orange. 6 Comments Published by Terrace Crawford on 4/23/12 at 12:21 PM. People around the world are talking. They are connecting each day online--through social media. Corporations around the world recognize the power of social media and are leveraging it to reach customers though platforms such as blogs, Twitter, Facebook, and YouTube. Why can't churches do the same thing? Christianity has the greatest message to deliver, yet churches struggle to share it. Terrace Crawford helps uncover reasons ministry leaders may resist the use of social media and dispels some of the myths surrounding it. 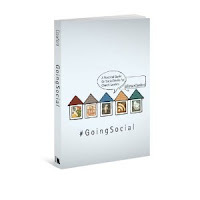 With short, accessible chapters, #Going Social: A Practical Guide on Social Media for Church Leaders provides a step-by-step guide to getting started, crucial insights to help you develop an effective social media strategy, and gives real-life examples of ministries and leaders who are using media in powerful ways. Reimagine your social media presence and successfully connect with your church and your world. With the help of #Going Social, you can create an online community in no time! -- Tim Stevens (@timastevens), Executive Pastor, Granger Community Church and Author of Pop Goes the Church. "In this day of social media interconnectedness, followers of Christ need to be familiar with the multitude of ways we have to engage culture. We will continue to be behind the curve if we ignore the most dynamic tool for creating gospel relationships in the last 50 years: social media. Terrace's book, Going Social: A Practical Guide on Social Media for Church Leaders provides a wealth of information about all forms of social media, giving pastors and others who want to influence culture the insights they need to do so. Digest this book, then engage your digital world!" "Terrace Crawford's book, Going Social, is a great resource to help you develop a social media strategy for yourself or your church. The only thing missing was a chapter on how Foursquare® should be banned forever. Good stuff!" The book releases on September 01 but you can [preorder yours here now through Amazon.com!] Going Social will be available in digital formats. Thanks for sharing the word about the book on the interwebs too! Make sure to use #GoingSocial on twitter! What is Your Scorecard for Measuring Success? 12 Comments Published by Terrace Crawford on 4/13/12 at 9:45 AM. "Many youth pastors measure their success on what they can do. The person in this role will measure success by what they equip others to do." What a wonderful way to measure success. Spot on, Granger. Spot on. So what is your scorecard for measuring success? What do you think about this job description? By the way, if you are looking for a position or know someone who might be a great fit for this role, as Student Ministries Director, tell them to apply soon. 5 Comments Published by Terrace Crawford on 4/10/12 at 11:03 AM. 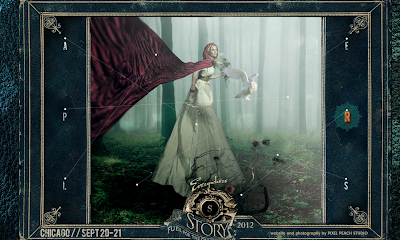 My friend, Ben Arment, is the creator of STORY Chicago, a world-class conference for creatives, and announced the launch of his all-new website for STORY today. I actually got to peruse the site before the launch... as I logged on yesterday, a day shy of the premiere and enjoyed checking things out before the rest of the world. 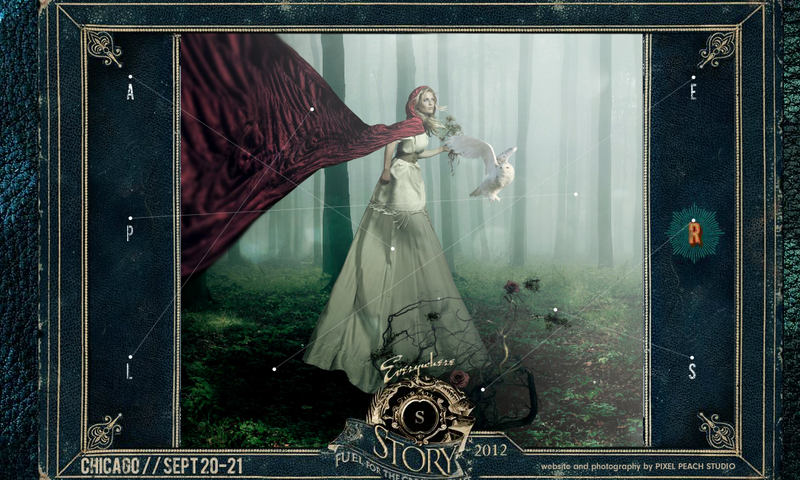 :) Now you can check out the site too [here] -- it's LIVE! 12 Comments Published by Terrace Crawford on 4/4/12 at 12:49 PM. It's arguably THE most important responsibility we have as youth workers... do you know what it is? Teaching teenagers the Bible. If this is a true statement, we must then ask ourselves are we effective teachers? My friend, Andy Blanks, co-founder of YM360 has recently released a book to help you be more effective in your teaching. 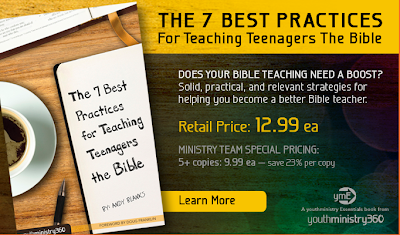 It's called "The 7 Best Practices for Teaching Teenagers the Bible!" I just recently got my hands on it and read through. I can honestly say, Andy has a wonderful grasp of what discipleship is all about. In fact, I met with him recently and told him how much I would love to learn more from him! 3. It provides ample strategies and examples so that you can immediately apply what you learn to your teaching. Andy has done a masterful job of putting together a resource here that makes it easier for you, the youth worker, to become an even more dynamic and effective Bible teacher. Seriously, this is a very inexpensive resource that you MUST read. I'll even treat the first 2 people to comment on this post to a FREE book (just leave me your name & email or twitter name). That's right... I'll pick up the tab for you because I believe in this resource. Missed your opportunity for the freebie? Pick up a copy of the book today [here]! 9 Comments Published by Terrace Crawford on 4/2/12 at 3:33 PM. I got to meet Jefferson Bethke at the Simply Youth Ministry Conference in early March. You may know him as the "I hate religion but love Jesus" guy. This spoken word video has had over 20 million views on YouTube. 12 million of those views were within the first 4 days after the video was posted on the internet! 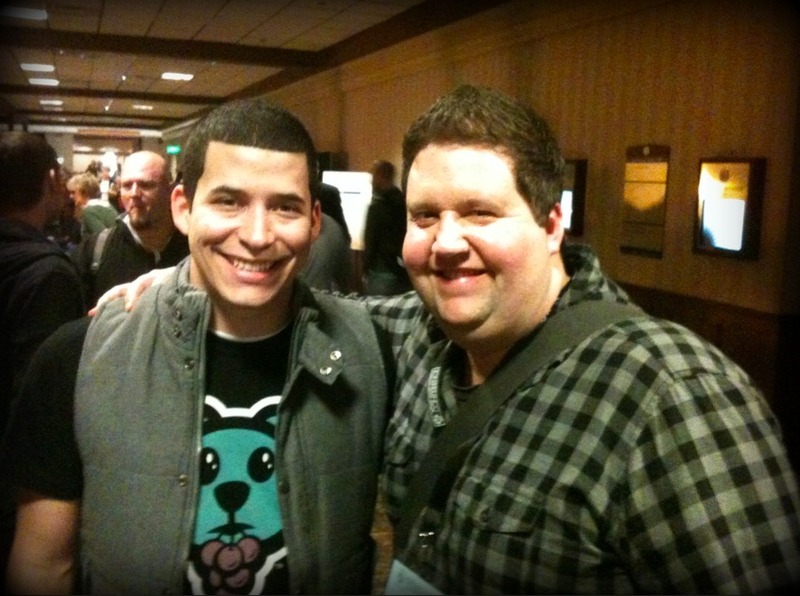 Recently Jefferson was interviewed by Trevin Wax from The Gospel Project on his thoughts on Student Ministry. I really enjoyed listening to his insights on what is most relevant in youth ministry today, what needs to change, and the Gospel. This is definitely worth your time.